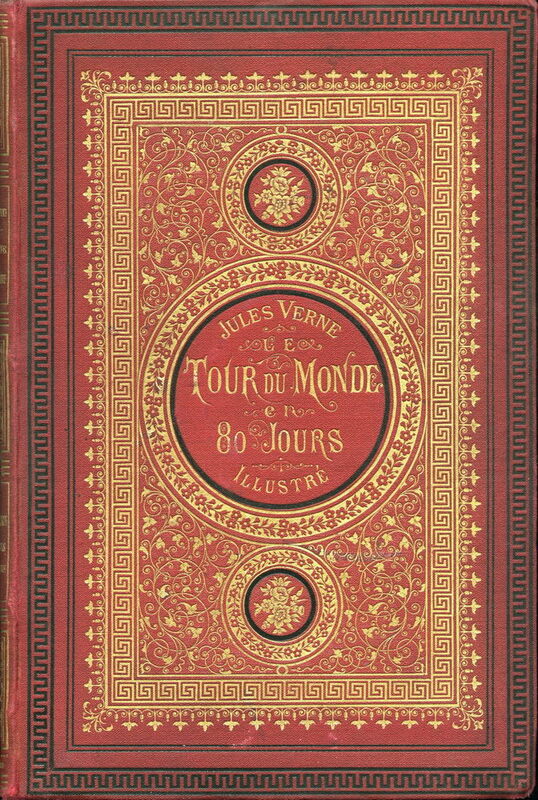 Cover of the French first edition of Jules Verne's Around the World in Eighty Days. Published on January 30, 1873, printed by Gauthier-Villars, published by Pierre-Jules Hetzel & Cie, Paris. 217 pages, illustrated with B/W engravings by De Neuville and Benett. recentissima 20:02, 23 Decembris 2006 368 × 550 (105 chiliocteti) Lupo Cover of the French first edition of en:Jules Verne's ''en:Around the World in Eighty Days. Published on January 30, 1873,[http://www.j-verne.de/verne14.html] printed by Gauthier-Villars, published by en:Pierre-Jules Hetzel & Cie, Paris.